Make or break for Turkey? Is it make or break for Turkey? Shoeboxes, a symbol of corruption. These are very turbulent times for Turkey and its authoritarian (and often paranoid) Prime Minister Recep Tayyip Erdogan. The ongoing corruption scandal that has gripped the AKP government which has ruled Turkey for the last 11 years has already claimed 3 MPs with their resignations and the PM’s son Bilal Erdogan has been ordered to testify in court (which he hasn’t done). Hitting out at the corruption investigations the PM will take on Turkey’s (theoretically) independent judiciary, limiting their powers, effectively overriding Article 138 of the constitution which dictates that the judiciary must be independent. Meanwhile PM Erdogan in his usual paranoid authoritarian way has said that the blatant corruption scandal (millions of dollars found in shoe boxes in peoples homes) is a conspiracy against him and his government and a coup plot. There are two main choices for Turkey, the path of democracy, secularism and Europe or the path of authoritarianism, strict Islam and a future away from Europe. Turkey’s Prime Minister Recep Tayyip Erdogan is facing fresh calls to resign – as his government faces a wide-reaching corruption scandal, which has exposed the country’s deep institutional divisions. 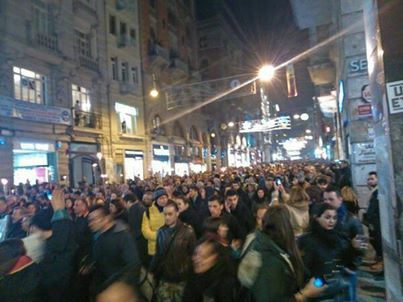 Hundreds of people across Turkey took part in anti-government demonstrations on Thursday, December 26. 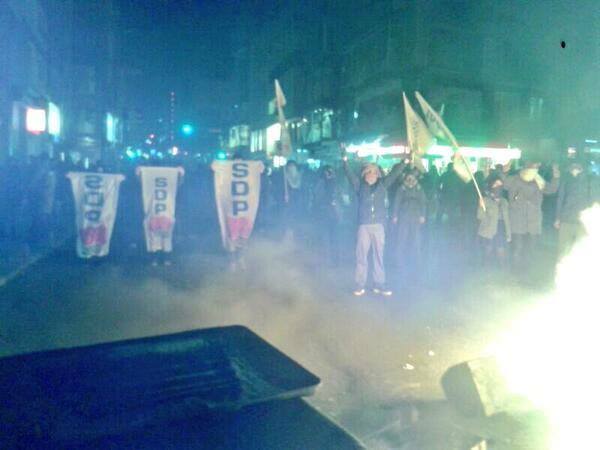 Protests were held in Istanbul and several other cities including Izmir and Adana. In a controversial move, Turkish prosecutor Muammer Akkas was removed from the high-level graft case, which has led to the arrests of the sons of two of Erdogan’s government ministers. However, Chief Prosecutor Turhan Colakkadi told reporters that Akkas had been removed from the case for leaking information to the media and failing to provide timely progress updates. “Nothing can be covered up. Regardless of who the criminals are, or whose children are involved, we will not allow for the judiciary to be eroded,” Colakkadi said. Erdogan, who has replaced half of his cabinet with loyalists in a reshuffle, says he believes he is the “real target” of the probe. There are Turkish media reports that the corruption investigation could be set to reach members of Erdogan’s own family. Zafer Caglayan, the Turkish Economy minister and Muammer Guler, the Turkish Interior minister whose sons have been arrested on corruption charges plus Environment minister Erdogan Bayraktar have resigned today. 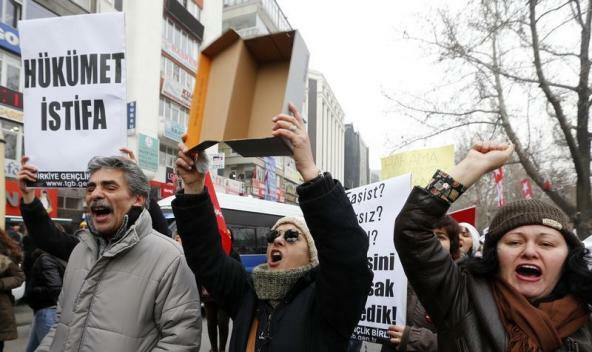 As they resigned they hit out at the police anti-corruption probe as a dirty operation against the Islamist government of Recep Tayyip Erdogan. They accepted no blame and denied all allegations. The Environment Minister Erdogan Bayraktar said the prime minister should also step down as he announced his resignation. In response to the police operation, a number of police commissioners have been sacked, including the head of police in Istanbul. Meanwhile PM Tayyip Erdogan has vowed to break the hands of anyone who attempts to use the ongoing corruption scandal against the government. It often seems like the European Unions patience with Turkey will go on forever, tolerating the blatant lack of democracy, human rights abuses, the illegal occupation of Cyprus and support of Islamic dictators. 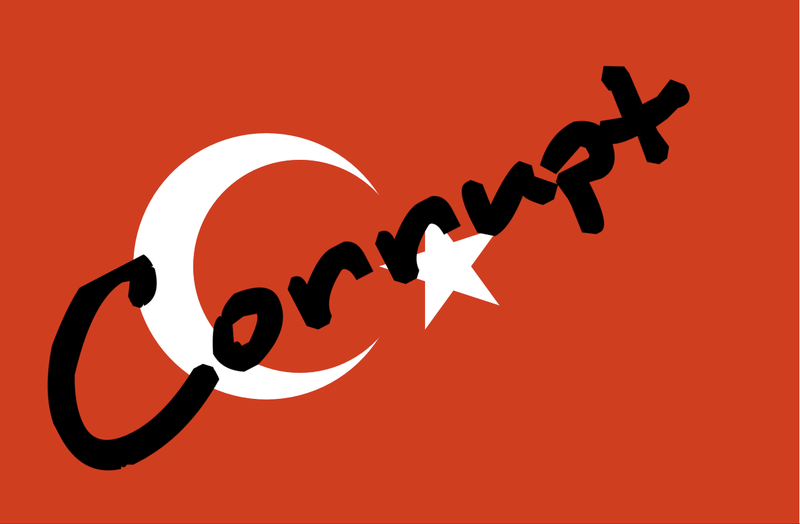 So much to the delight of many both inside and outside of Turkey the EU has finally been more direct with its criticisms of Turkey and its leader Prime Minister Recep Tayyip Erdoğan due to his interference in the current high-level corruption probe griping the country. “The latest developments, including the sacking of police chiefs and the instructions to police to inform authorities on investigations, raise serious concerns as regards the independence, efficiency and impartiality of the investigations and the separation of powers,” said a spokesman for Stefan Füle, the European commissioner for enlargement. More of this from Hurriyet click here. 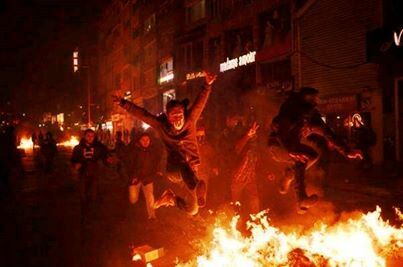 The Telegraph furthers this by also saying about the ongoing protests and riots on the streets of Turkey’s main cities. Mr Erdogan has sacked around 1000 police officers who were helping to carry out a bribery inquiry that engulfed the upper echelons of his party last week. Other officers have now been ordered to brief government officials on the progress of the corruption probe, which critics say will allow suspects to be tipped off in advance. While the prime minister claims that the probe is part of a politically-motivated smear campaign, the inquiry has already led to a repeat of the anti-government rallies that took place earlier in the summer. On Monday, the European Union warned Mr Erdogan that he was in direct breach of EU rules safeguarding the independence of the judiciary, which is also a key condition for Turkey’s EU membership bid. Following on from the corruption raids yesterday that saw prominent people and family of ministers arrested the obvious corruption continues as the police chiefs (5 of them) that oversaw the raids have been fired. Yes that’s right, corruption in Turkey was exposed and those who exposed it lost their jobs in true farcical manner. The arrest count has since gone up with the latest reports said to be up to 84 people. In a continuation from that story 4.5 million dollars was found in shoe boxes in the home of the arrested Halkbank manager. Istanbul’s historical region mayor Mustafa Demir has been accused of putting money people peoples safety in allowing construction projects to go ahead and turning a blind-eye to dodgy developers in exchange for cash. These are truly chaotic times for Turkey, the AKP, PM Erdogan and its fake democracy. The European Union (EU) should take note of these goings on and not allow the visa free movement of Turkish citizens within its territory which is expected to happen within 3 years. Certainly with the huge democratic deficit in Turkey their EU entry application should be put on hold indefinitely. On the 12th I wrote about corruption in Turkey and how friends and family of the government get the pick of what’s available, that’s how the system works. Well today’s news comes as no surprise to anyone who is familiar with Turkey, 37 people have been arrested, those people include sons of government ministers and civil servants. The sons of the interior minister, the economy minister and the environment and city planning minister were detained as well as civil servants from the Environment Ministry and the Economy Ministry. Halkbank General Manager, a Turkish construction tycoon and an Azerbaijani businessman were amongst the 37 arrested. The suspects are accused of accepting and facilitating bribes for some projects and getting construction permits for protected areas in exchange for money. bribery relating to public tenders. 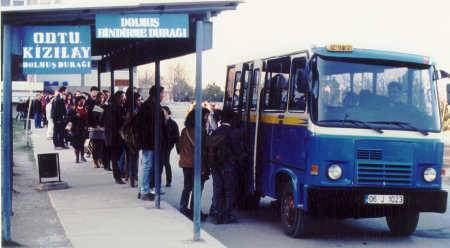 Unfortunately this exposure is just a small amount in the reality of Turkish corruption which is at the top and runs right down to the bottom, from Prime Minister Erdogan using state funds to fund his families lifestyle to the dolmuş mini-buses paying off local police because they are too crowded. It’s useful to have friends (or family) in high places and that’s exactly how Turkey’s political system works. Friends, family and political allies strategically placed in industry to help AKP and its leader Recep Tayyip Erdogan stay in power. From the once independent Sabah newspaper that was seized and then handed over to Erdogan’s son-in-law to a financial body solely consisting of Erdoğan’s appointees that seized one of the last conglomerates which owns independent newspapers and television. In the latest attack on democracy and blatant corruption the main opposition political party is being blocked from advertising due to being “over-critical” of the government and of course who owns the advertising companies… friends of Erdogan! “A majority of those companies are close to the ruling Justice and Development Party [AKP]. Some of them are even conducting public relations campaigns for the AKP. Now, I’m appealing to the Supreme Election Board [YSK]. It should do its duty … Who can explain this scandal?” CHP Deputy Chair Gürsel Tekin said at a press conference Dec. 12. For more details on this, click here.